Subject: Reply, What I Love About the Poodle. Wow, how to put into a few words what I like about the poodle!! 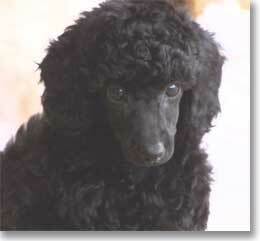 Having owned miniature poodles since 1974, what I most like about miniature poodles is their “love of life”! They are like the perennial child always wanting to have fun and play!! I will try to summarize all the traits I find endearing in the breed. 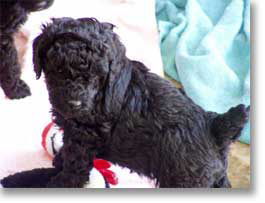 proportioned look with dark eyes and long, straight, fine muzzle; while I like the variety of colors poodles come in, I prefer black; I also prefer the miniature poodle’s size (between 10” and 15” at the highest point of the shoulders). 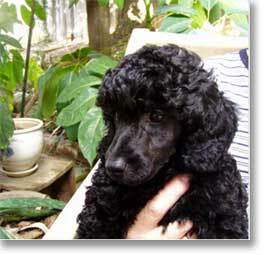 TEMPERAMENT: I like that my poodles are affectionate, eager to please, very playful, curious, want to be with people, good with my cats and each other, calm in new situations, adaptable to whatever their environment is (be it apartment living or country life), and can be mischievous (finding things to entertain themselves with, good or bad). 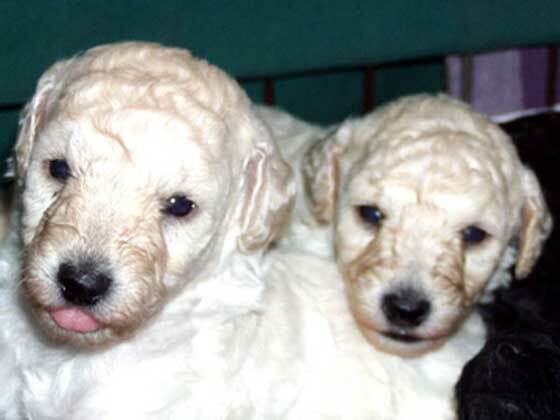 INTELLIGENCE: poodles are highly intelligent, extremely trainable, very quick to learn especially when using a firm but gentle voice, consistency, and treats (toys, food, praise); they’ll do anything to please their owners. future; poodles also like fly ball, dance, and other canine sports; I’ve gone camping with my poodles, played on beaches, and hiked with them. I expect they will be comparable in size to their mom and aunts, approximately 14” tall and around 15 lbs. when full grown. 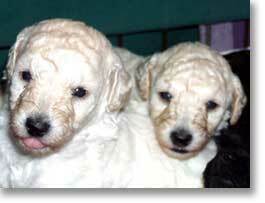 They are hand raised in the family room of my home and socialized early to people and my other poodles. 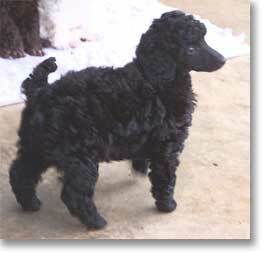 My Miniature Poodles are black, but white or brown puppies are possible. Both the sire and dam have had the recommended testing for eyes and hips. I wish you the best of luck in finding your perfect animal companion for a lifetime of love and fun! 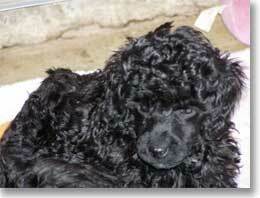 For me, the Miniature Poodle has been the “dog for all seasons”!